One of my favorite writers is old King Solomon. He tells us to enjoy life because this is all we have. Every year, I set my goals and revisit them every six months to make sure I’m on track. There are some goals I meet, and others I meet after the deadline is way past. When I began goal setting, I would get frustrated at myself for the goals I was unable to meet. I would imagine there must be something I’m doing wrong, or not getting and no wonder I was struggling. It is not smart to stay away from your family and friends because you are busy pursuing a particular goal. A fun family and friends add joy to your journey. Cherish those relationships. Your life is here and now. The journey takes place every day. You can find small joys every day if you understand this. 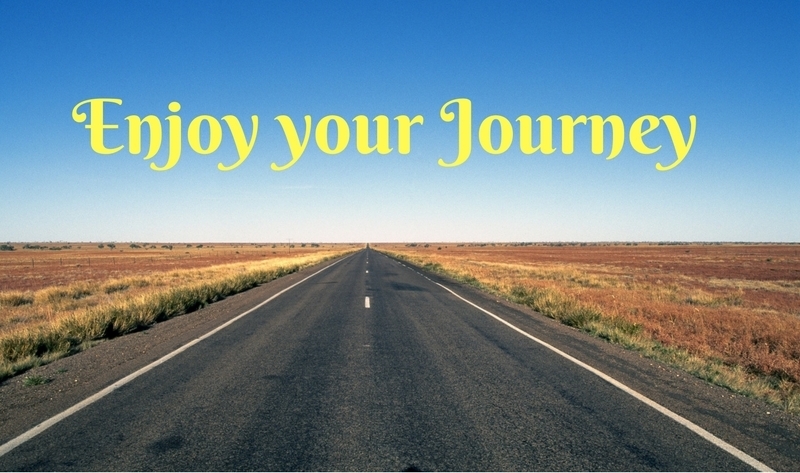 The only difference between each of us is how much we enjoy the journey. Instead of obsessing over things you cannot control, focus on what you can, and leave the rest to God. God is in control; trust him with your business and personal life. If you enjoyed this post, enter your email for more inspiration and receive your free gift.